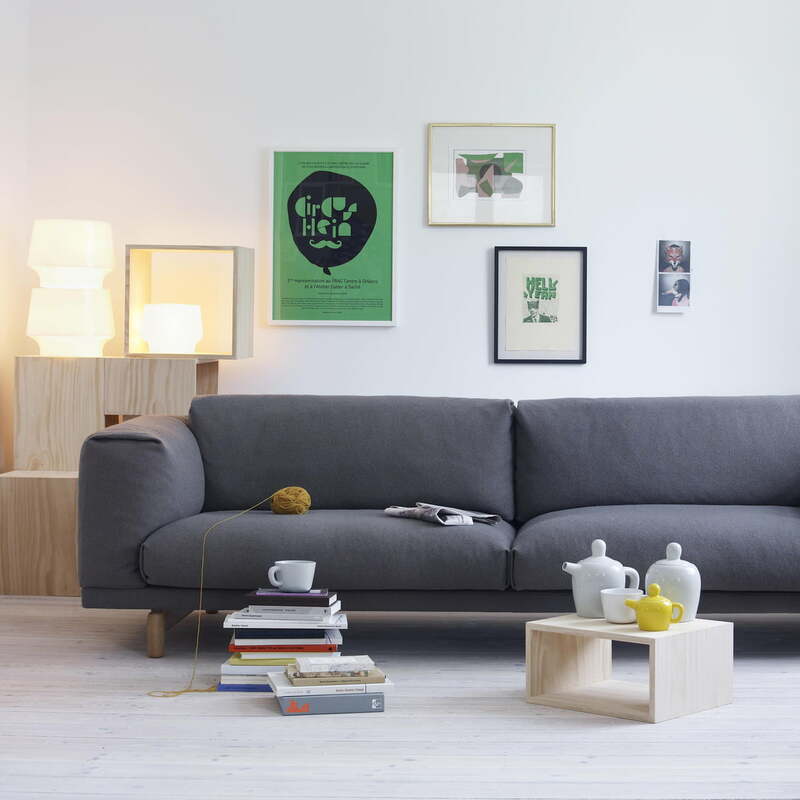 The Rest sofa was created by the designers Andersson & Voll for the Danish company Muuto. 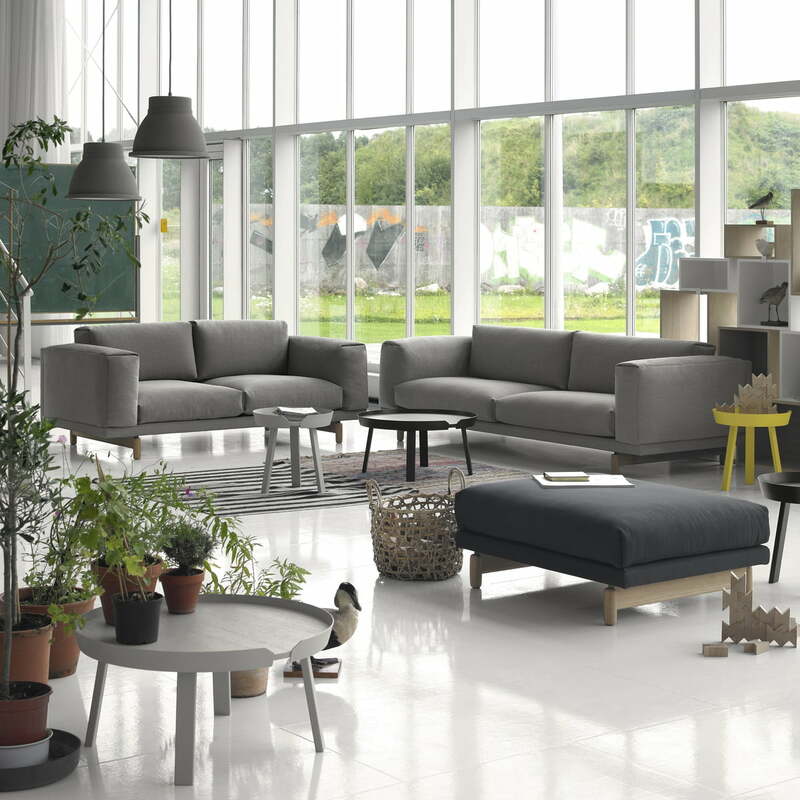 The combination of the heavy body and wooden frame gives Rest an inviting and warm appearance. 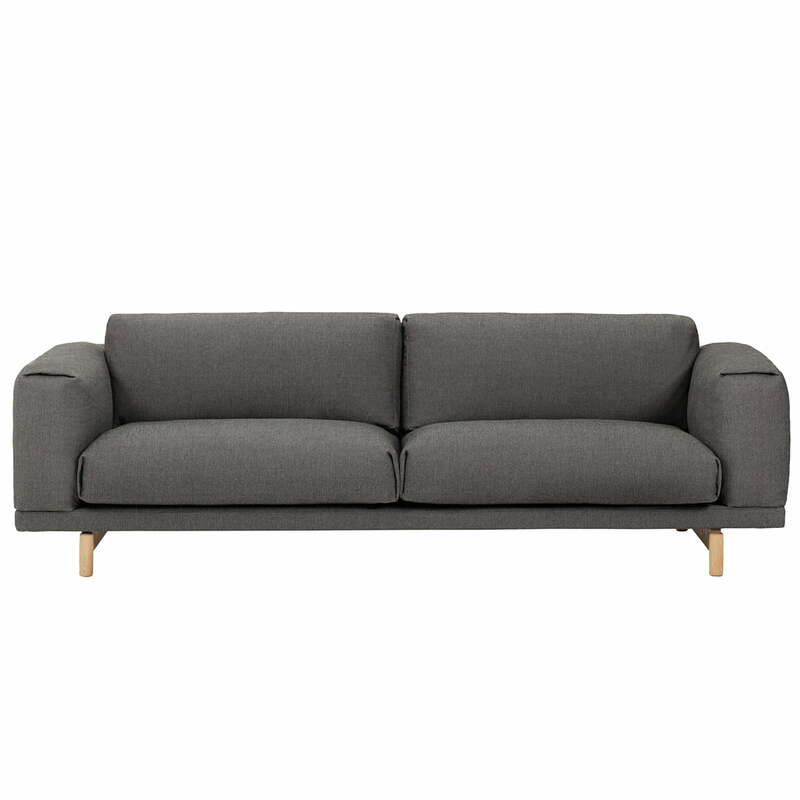 The robust upholstery is made from CMHR foam and invites you to fall into it and relax. The Rest Sofa's cover has a zip opening so that it can easily be cleaned in the washing machine or exchanged in case of damage. 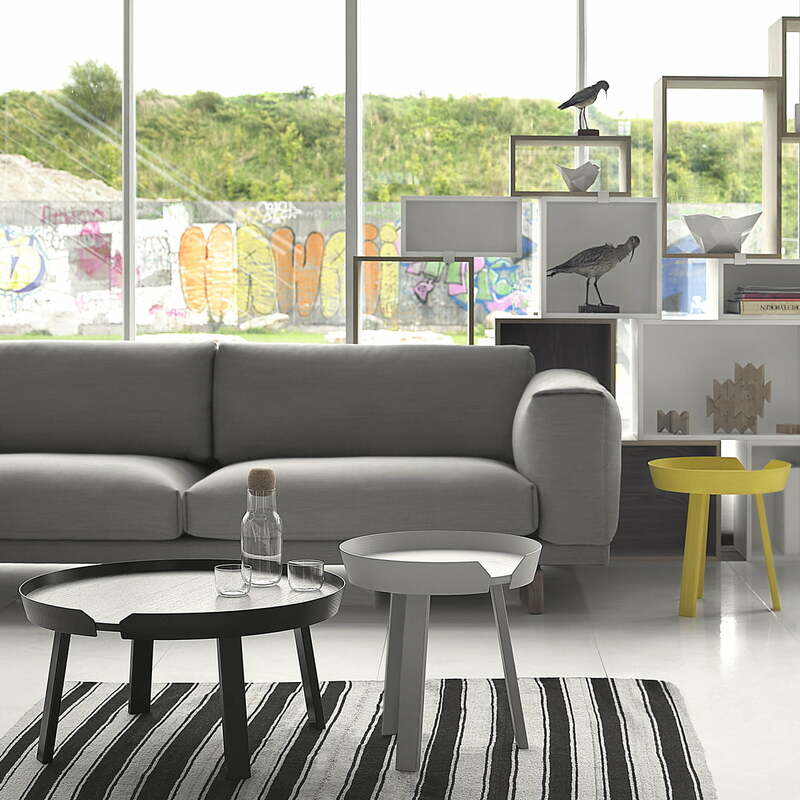 The base of the Rest Sofa is made of steel and the visible frame is made of natural oak wood. 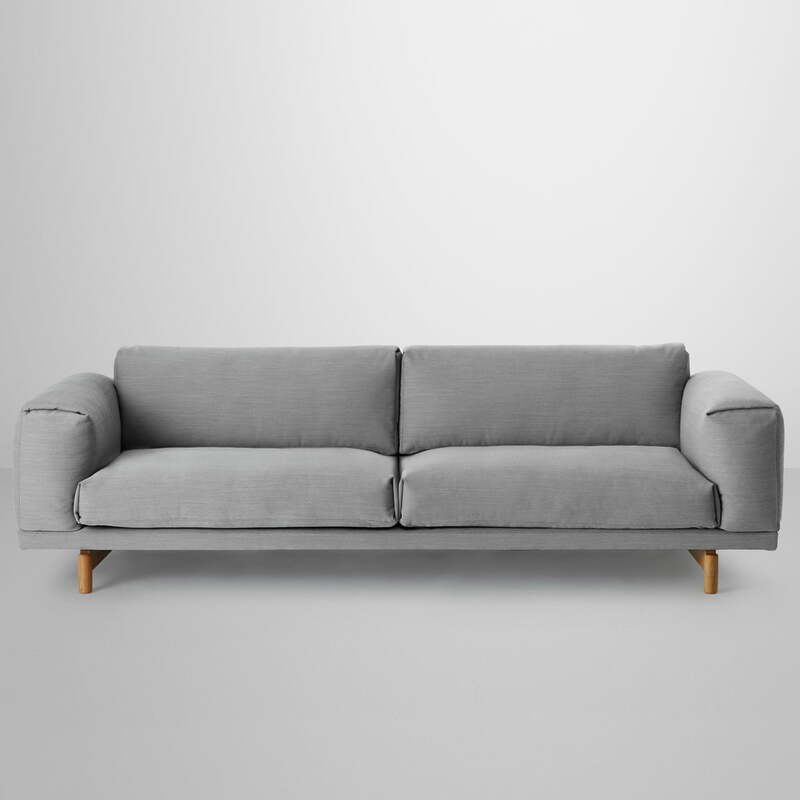 In addition to the Remix fabric series, there are a number of other fabrics available from Kvadrat (such as Hallingdal, Steelcut Trio 2 and Steelcut 2) in a variety of colours. 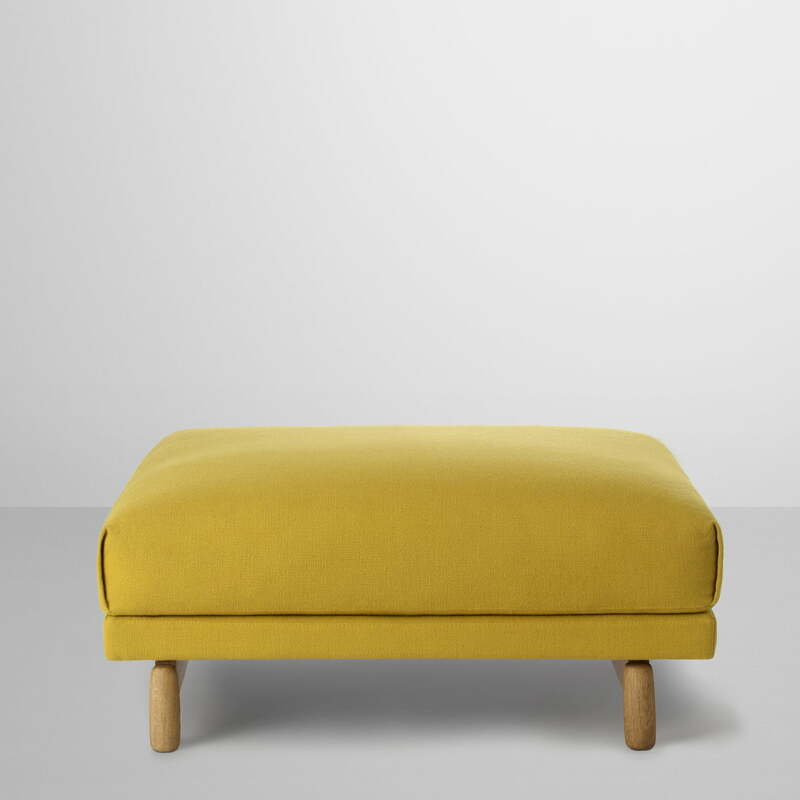 Rest also comes as a pouf or as a 2-seater.